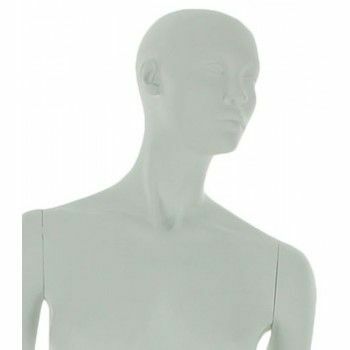 With his carved face and a hairstyle, This window mannequin stylized female was designed for easy and quick use. Devoid of wig and makeup, the stylized mannequin fits all the trends and needs little maintenance. 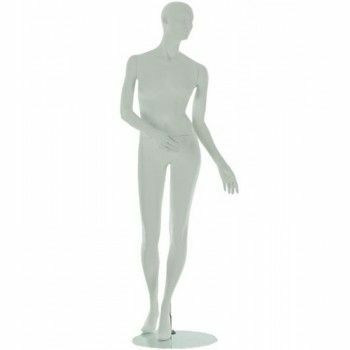 These window mannequins women are available in several colors and finishes (matt, glossy, lacquered, shiny) for a trendy and personalized look to your windows. 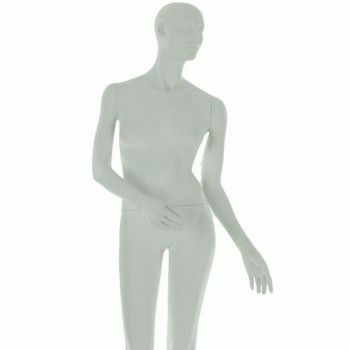 Compromise between abstract and realistic model, that stylized female mannequin Mannequins Online is the perfect choice for a dynamic shop regularly changing collection. 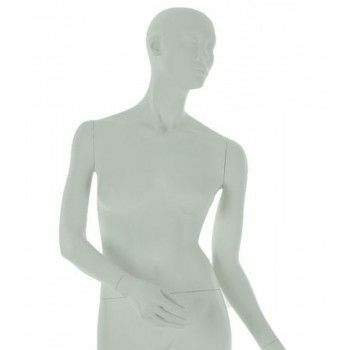 This stylized female fiberglass mannequin has a dual attachment and a round glass base .This woman mannequin head has a stylized head, it is timeless and has a long life. Graceful posture of this stylish stylized female mannequin inspired parades. The delivery time for this window mannequin is 2 weeks.